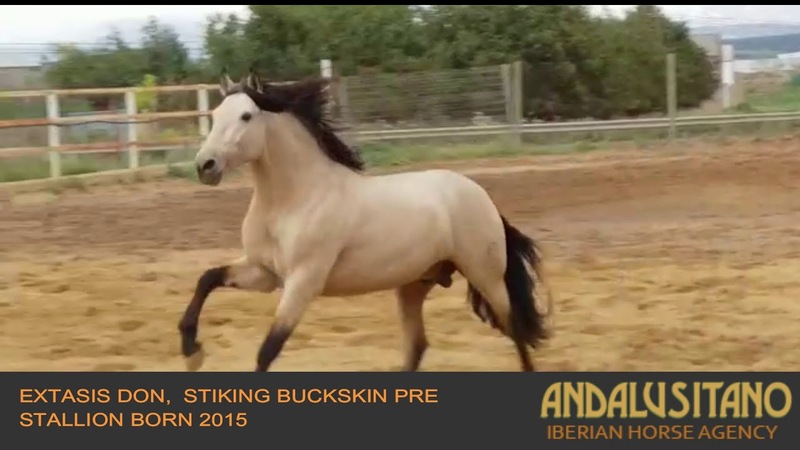 Extasis is a stunning buckskin PRE stallion. He has basic schooling, walk trot and canter. He has nice movement and correct paces. He has a very sweet character and is easy to handle, however, he would be more suited to a person who has some experience with stallions.